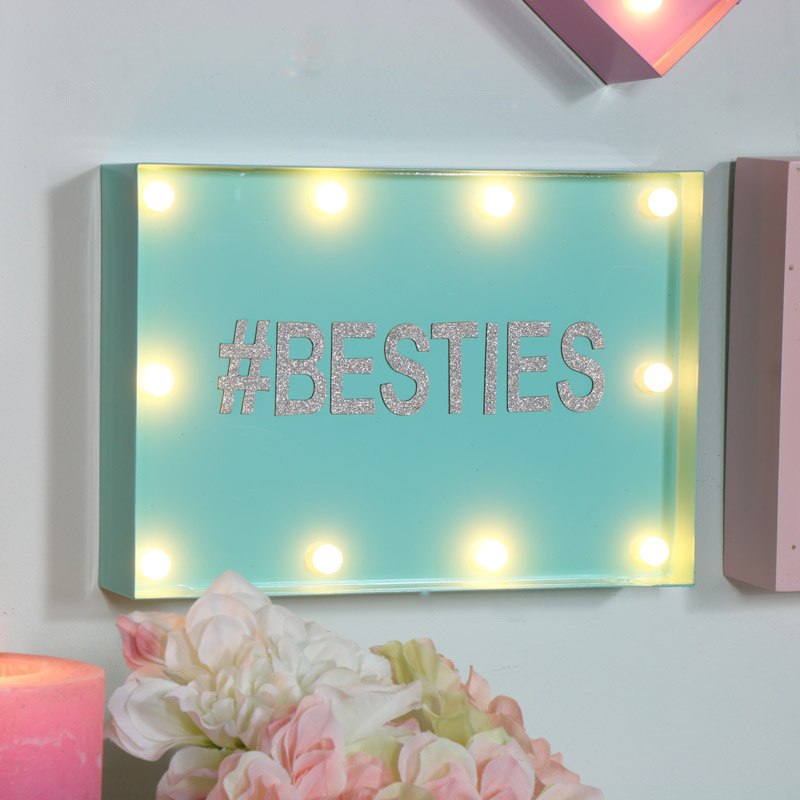 Add a little funky personalistion to your home decor with this fantastic light box. 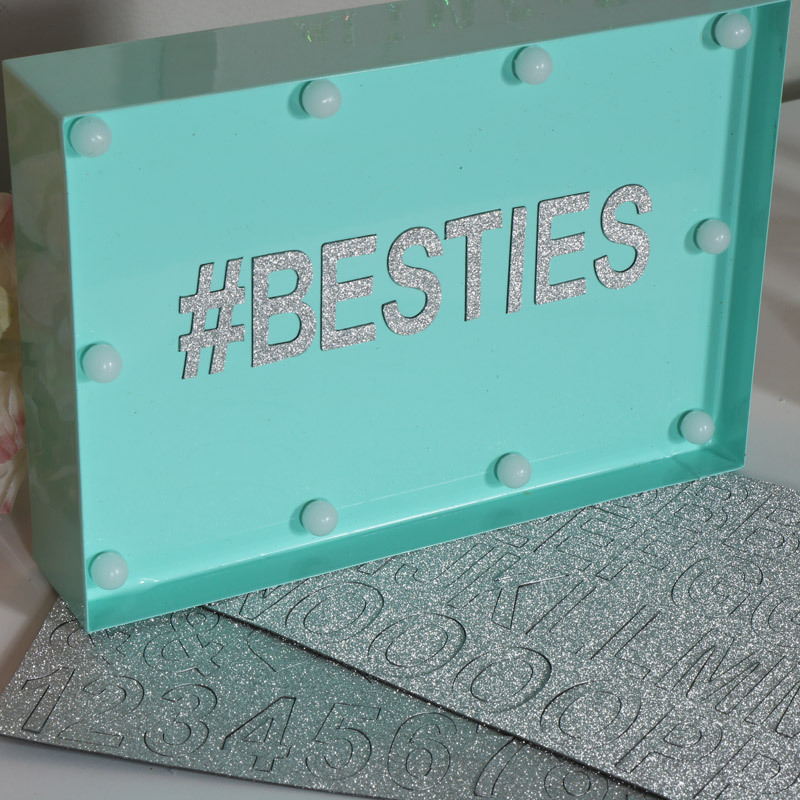 Bright and cheerful turquoise colour with LED bulb surrounding, complete with glittery silver magnetic lettering. This will make a great fun and funky gift idea for all ages. Metal box with 2 magnetic sheets containing letters, numers and symbols so you can add your own personalised message. Perfect for hanging on your bedroom door or stand on a shelf or bookcase. 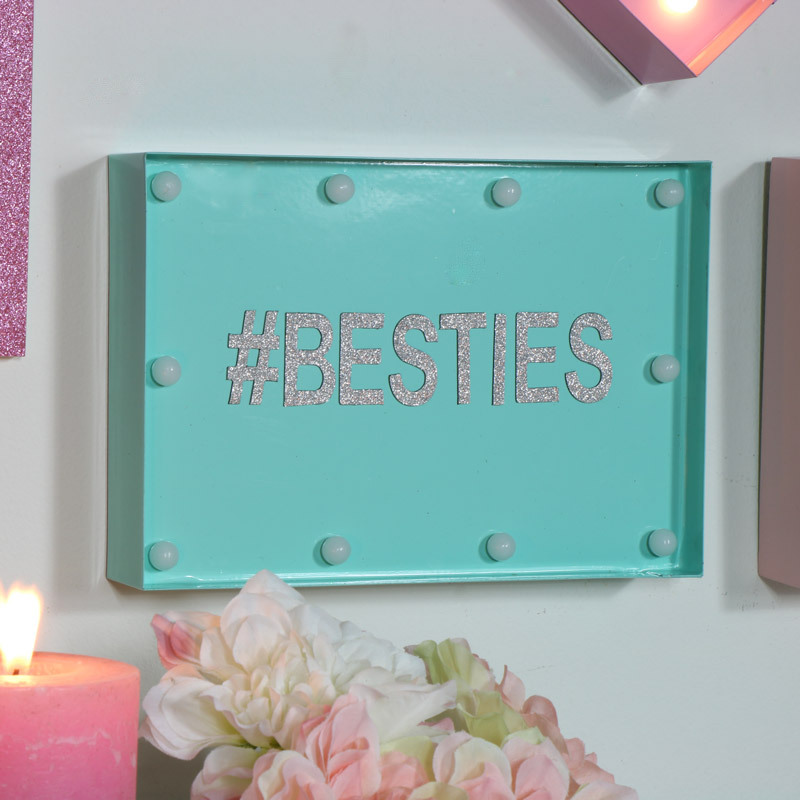 Add a little funky personalistion to your home decor with this fantastic light box. Bright and cheerful turquoise colour with LED bulb surrounding, complete with glittery silver magnetic lettering. This will make a great fun and funky gift idea for all ages. Metal box with 2 magnetic sheets containing letters, numers and symbols so you can add your own personalised message. Perfect for hanging on your bedroom door or stand on a shelf or bookcase. Metal box frame painted in a turquoise colour with LED lights. Easily wall mounted with 2 holes on the back for hanging. The box takes x3 AA batteries with on/off switch. We have a fantastic range of gifts and home accessories for you to choose from with even more being added all the time! Just take a look and find the perfect present or, best of all, a little treat for yourself.